This entry was posted in Residential and tagged Home Locks, Home Security on April 2, 2015 by Locksmith Sarasota. Your home truly is your castle. It’s the place you retreat to at the end of the day. You store your belongings there in addition to your memories. It’s the place where your family gathers at the end of the day for nourishment and rest. You need to make sure that it is safe, both while you and your family are at home and when you’re are out and about. The entry lockset is made up of two doorknobs which can be locked from either side. One type locks from the inside by turning or pressing down on a small knob, and a key must be used to unlock the door from the outside, whereas other models must be unlocked with a key from both the inside and the outside. This is a medium security door-lock set. The deadbolt lock is only operated manually with either a key from the outside or a thumb turn from the inside. Residential locksmiths recommend this type, since it provides a maximum level of security for a customer. The lock bolts the door to the frame and helps prevent an intruder from prying the door open. Single-cylinder deadbolts are operated with a key from the outside and a turn button on the inside of the door. This type of lock is used mainly with either wood or solid metal doors Double cylinder deadbolts require a key on both sides of the door in order to operate them. These are best used on a door with glass in and around it, since this style will prevent a would-be intruder from breaking the glass, reaching into your home and turning the button to unlock the door and gain entry. A handle set is usually an entry set that combines a lockset and a deadbolt. The deadbolt is installed just above the door knob or handle. It can be ordered with either a single or double-cylinder deadbolt in a number of styles and finishes to compliment the door hardware and the exterior style of your home. 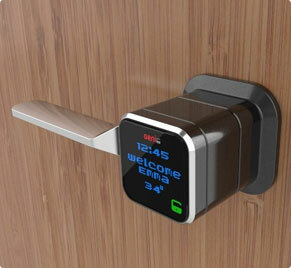 For the ultimate in convenience, consider a keyless entry system. You will be advised by audio and visual prompts when the lockset is activated. The system’s anti-theft rolling code will ensure that the same code is never used twice; some systems are compatible with garage door openers, so you only have to remember a single code. A residential locksmith is the best choice for quality installation of the right locks for your needs to keep your home and family secure! For Advice About Which Lock Option Will Best Fit Your Needs Or To Schedule An Installation, Call Locksmith Sarasota Today!